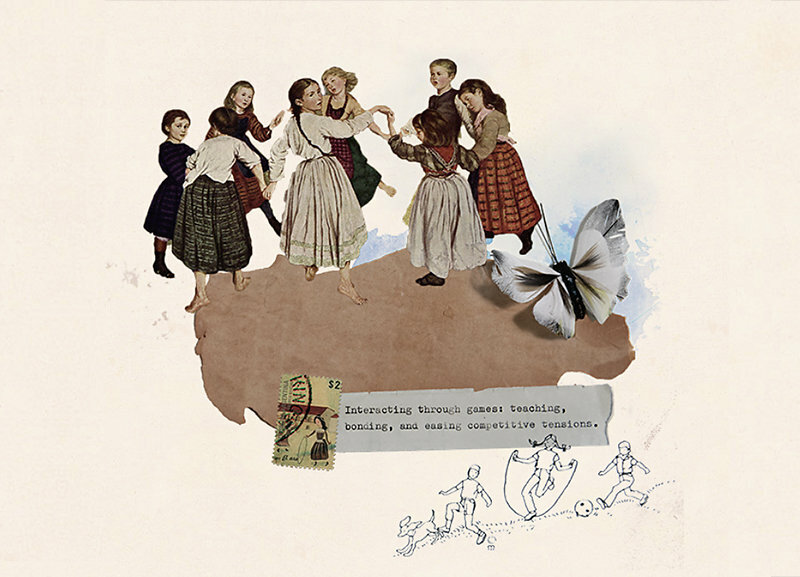 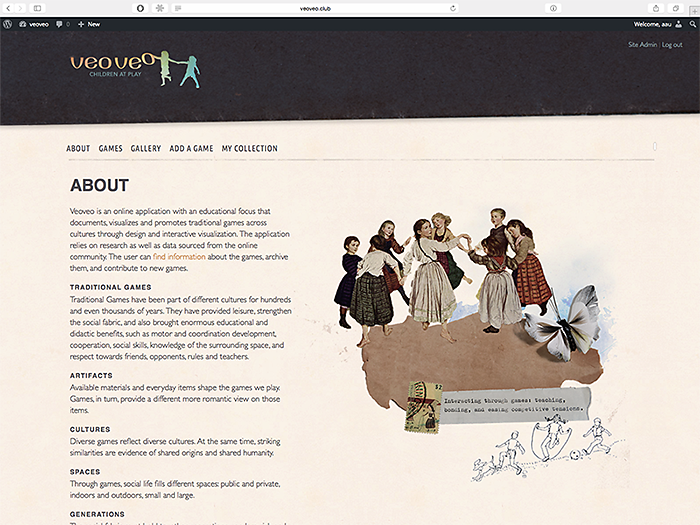 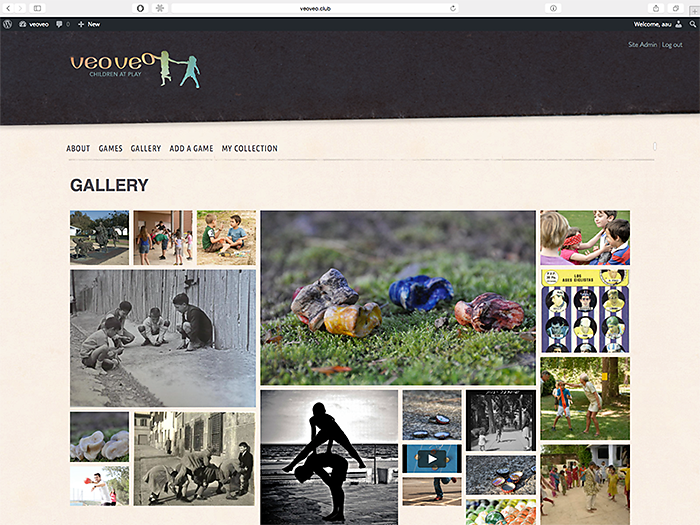 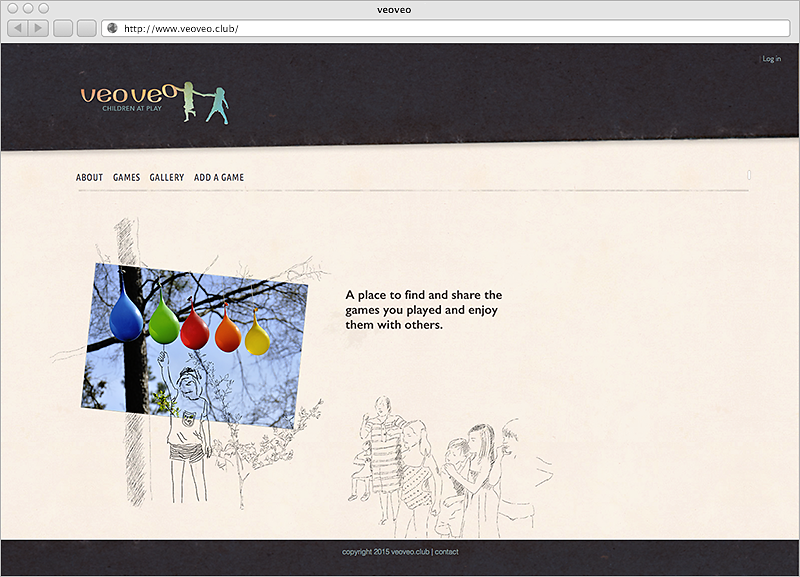 Veoveo is an online application with an educational focus that documents, visualizes and promotes traditional games across cultures through design and interactive visualization. 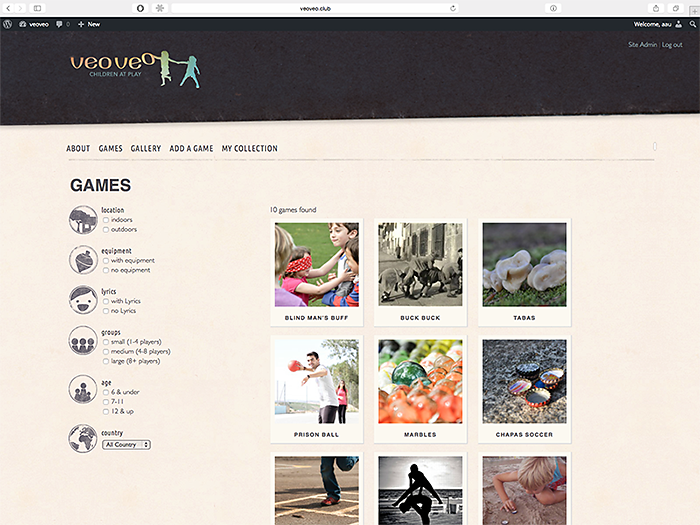 The application relies on research as well as data sourced from the online community. 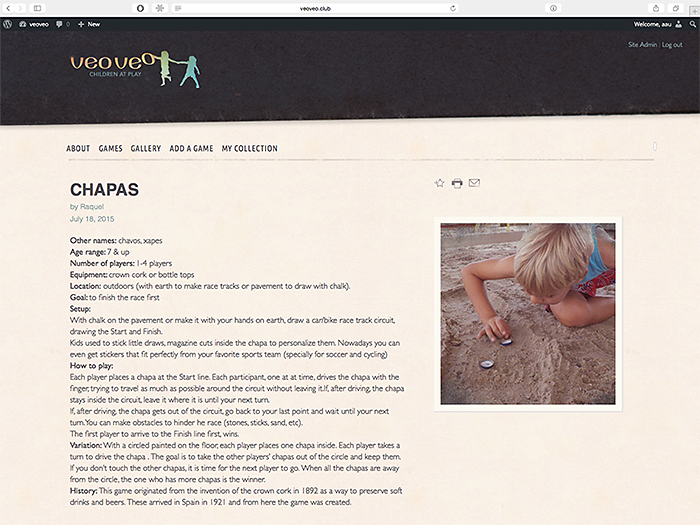 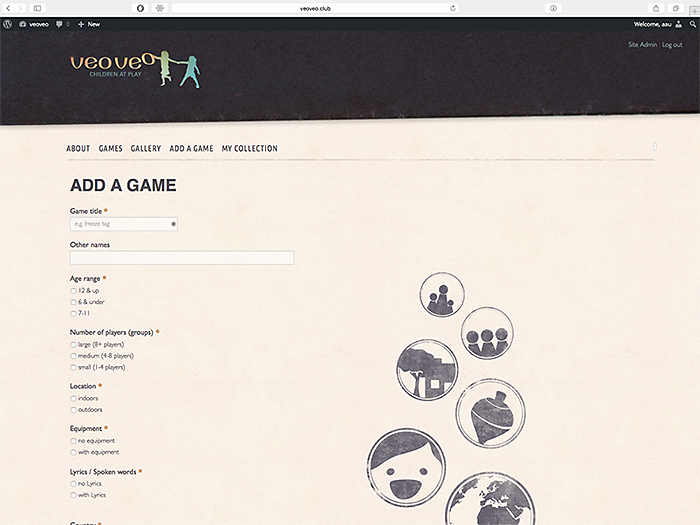 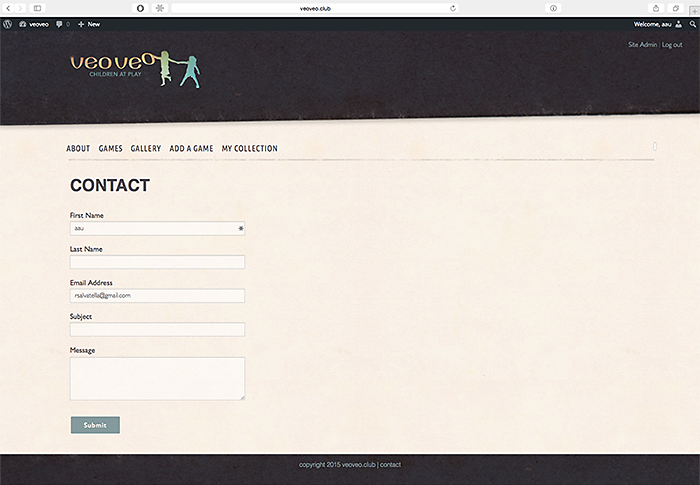 The user can find information about the games, archive them, and contribute to new games. 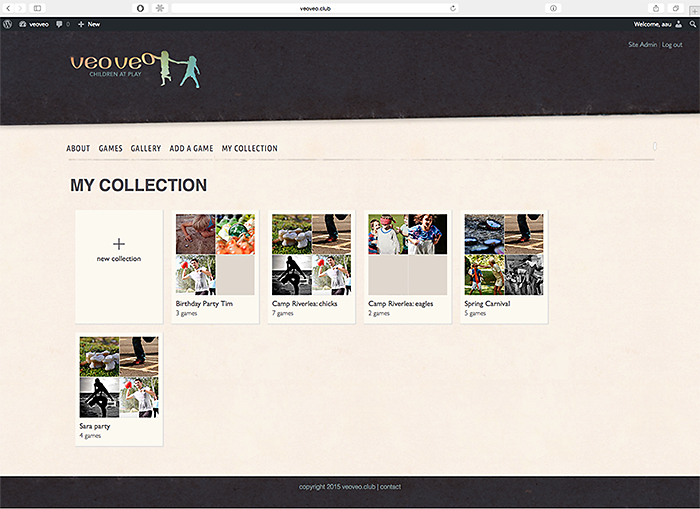 This project was made possible by the Josiah Trent Foundation Endowment and the Art, Art History & Visual Studies Department at Duke University.